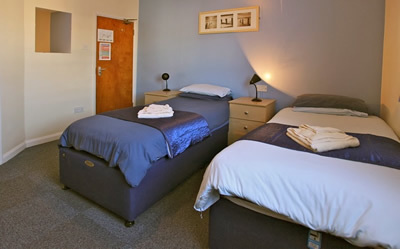 The Brimar Guest House offers fresh, modern single, double, twin and family rooms many with en-suite facilities. All rooms have remote control colour televisions. It is possible to link some rooms together with a kitchen and bathroom to form a private area for large families or groups of contractors. 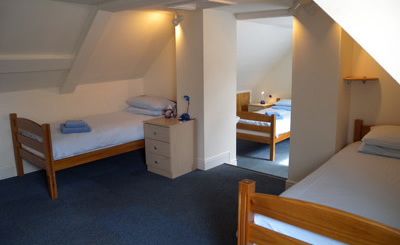 We have another area with two large linked rooms capable of accommodating a family of four or five. Check in is from 12:00 to 20:00 hours and at other times by special arrangement. Guests are asked to vacate their rooms before 11:00 hours on their day of departure. Comfortable, clean and all the facilities you'll need. Larger rooms with two single beds. 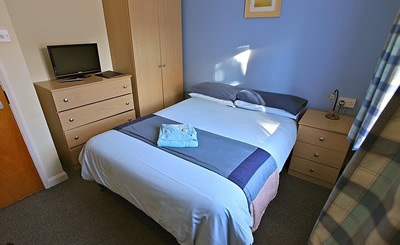 A double bed for extra comfort during your stay. 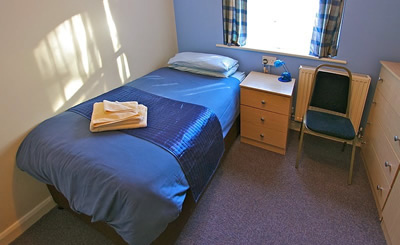 Larger rooms with multiple single beds sleeping up to 4 or 5. Larger rooms with multiple single beds.